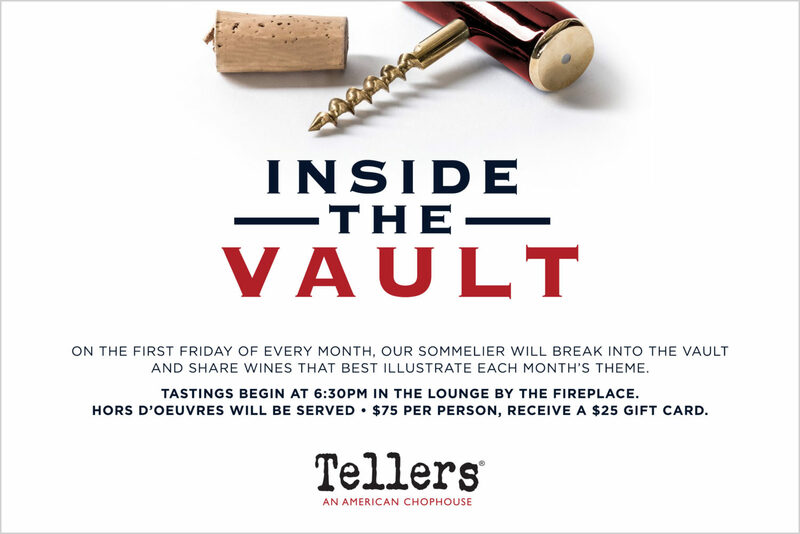 On the first Friday of every month, our sommelier will break into Tellers’ Vault and share wines that best illustrate each month's theme. Gain knowledge about wines by chatting with other wine lovers in this intimate gathering, held by the fire at Tellers. Tastings begin at 6:30pm in the lounge by the fireplace. Hors d'oeuvres will be served. $75 per person, receive a $25 Gift Card.